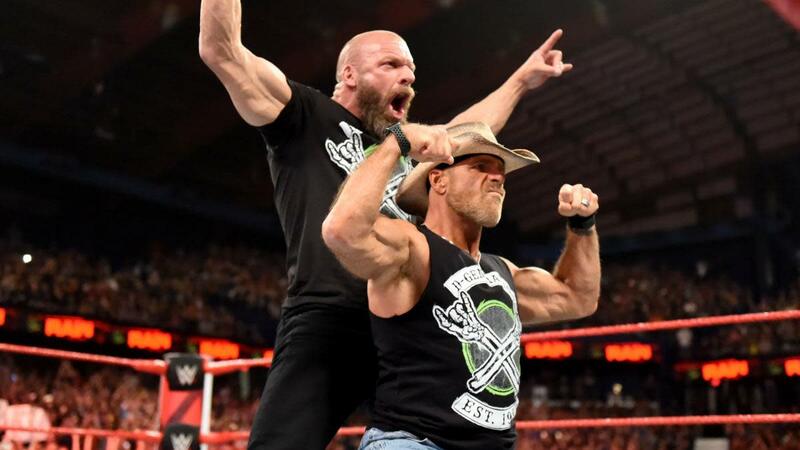 Triple H and Shawn Michaels reunited as D-Generation X tonight and are set to face The Undertaker and Kane next month at Crown Jewel. It started at this weekend’s Super Show-Down event when both Undertaker and Kane jumped Triple H and Shawn Michaels after Triple H defeated The Undertaker. Tonight on Raw, both Triple H and HBK came out looking for retribution. Michaels said that for the last eight years, he had been keeping a promise (his retirement) out of mutual respect between he and The Undertaker. But now he realizes that respect may have never existed. Triple H then said he asked Michaels three words he never thought he would ask him again: are you ready? He then directed that question to Undertaker and Kane for Crown Jewel. Both men took off their shirts revealing new D-Generation X t-shirts as they posed for the crowd, their old music playing. Crown Jewel will take place on November 2 at the King Saud University Stadium in Riyadh, Saudi Arabia.